Recorded at the London Science Museum, June 28th, 2012. Nahum Mantra is an artist, composer and multi-instrumentalist. He lives between London and Mexico City and works in the intersection of the arts and science. Nahum studied at the Autonomous University of Mexico (UNAM), the Technological Institute (Tec) of Monterrey and obtained an MA at Goldsmiths University of London. His work revolves around topics in science and the intimacy of nature, whilst addressing their relationship to the fantastical and magical realms. He co-founded the Goldsmiths Electronic Orchestra and Orchestra Elastique, and regularly performs in various countries across Europe and the American continent. 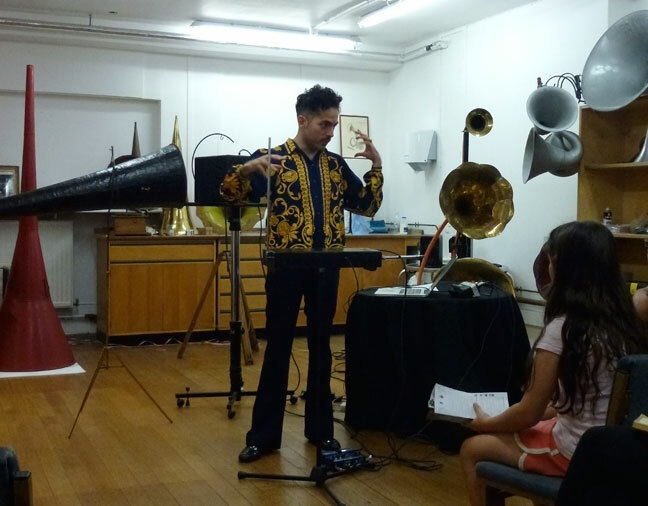 Since 2007, he has performed and exhibited his artistic work in UK venues including the Institute of Contemporary Arts (ICA), Southbank Centre, Battersea Arts Centre and The Place in London and Laboratorio Arte Alameda and the Fonoteca Nacional in Mexico City. In 2008 Nahum was invited to perform with the London Sinfonietta at its 40th Anniversary at the Queen Elizabeth Hall, London. From 2008 to present, he has been an associate artist at The Arts Catalyst, a well- renowned arts and science agency in London. Here, he organises Kosmica; a bimonthly series of galactic gatherings that have taken place in London, Liverpool, Paris and Mexico City. Furthermore, he has been appointed co-ordinator of the Technical Committee for the Cultural Utilisations of Space inside the International Astronautical Federation in Paris. Within the committee, he plans cultural space policies for space agendas at an international level. One of three wax cylinders recorded in a live demonstration at the London Science Museum. 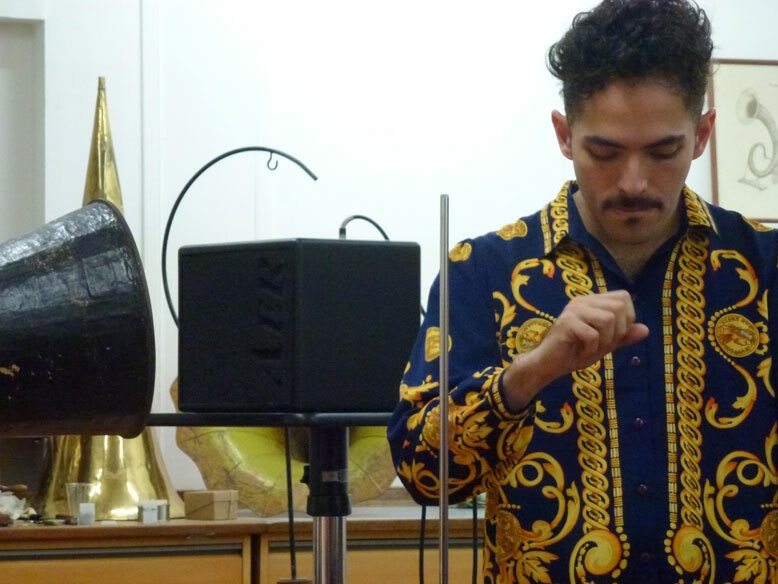 Nahum also uses the theremin as a controlling device for computer generated sounds.